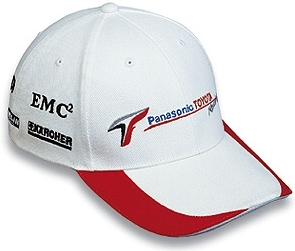 2005 Official Toyota F1 team hat, White. This is the 2005 team cap with sponsor logos. It features the Toyota F1 Panasonic logo on the front.